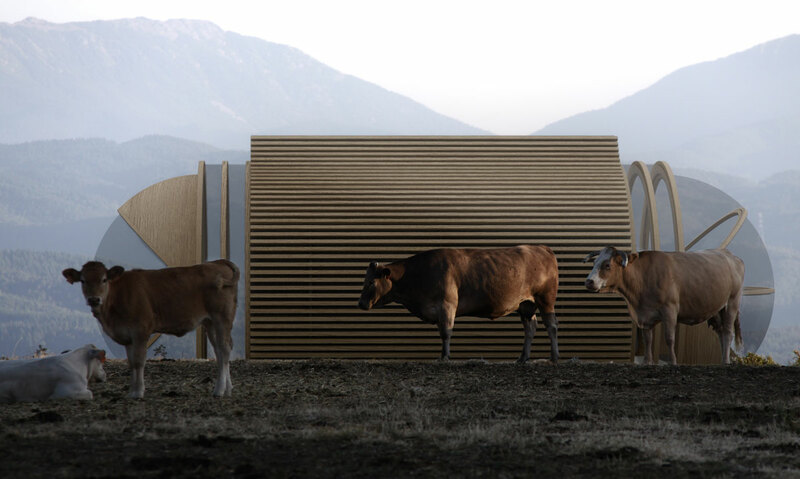 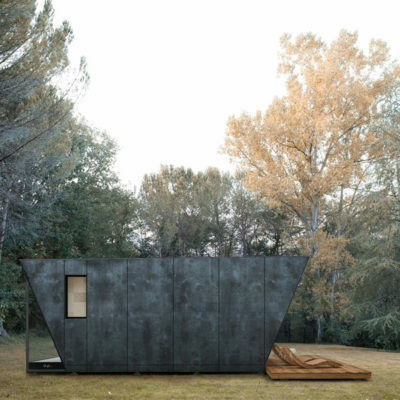 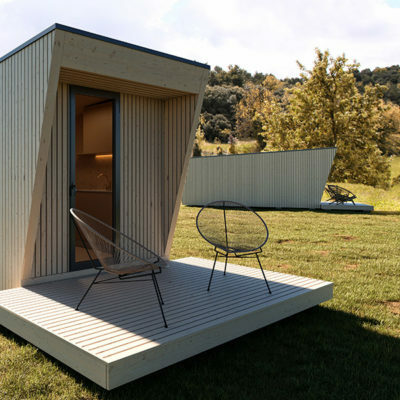 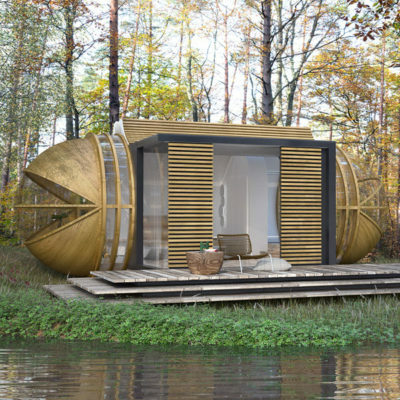 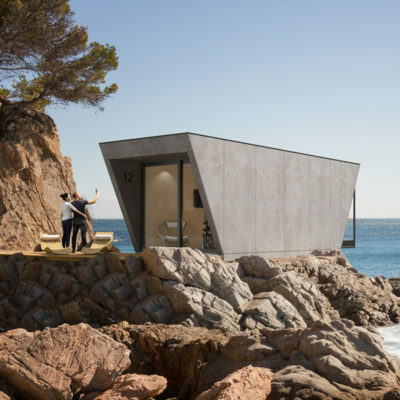 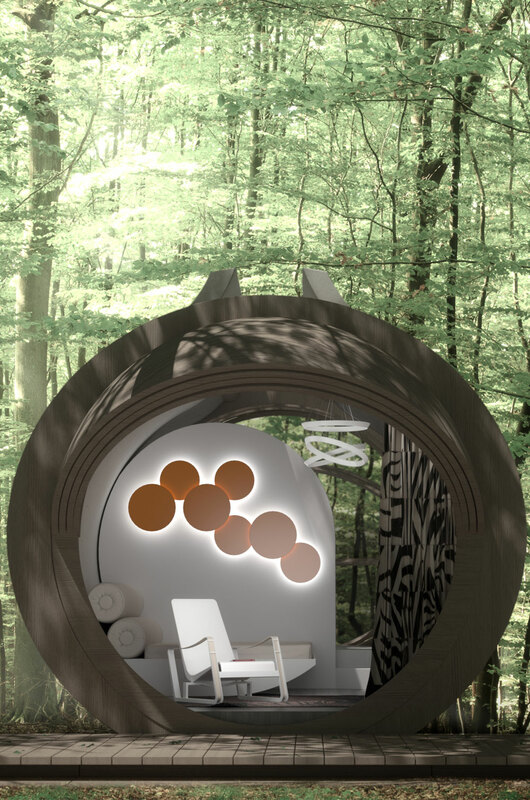 The DROP eco-hotel is a modular hotel suite that draws inspiration from organic shapes found in nature, designed to be placed in a natural spot, and easily removed without any ecological damage as a consequence of its presence. 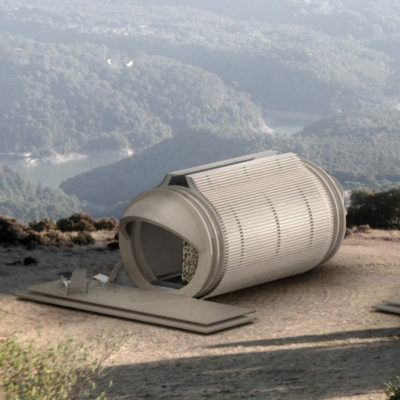 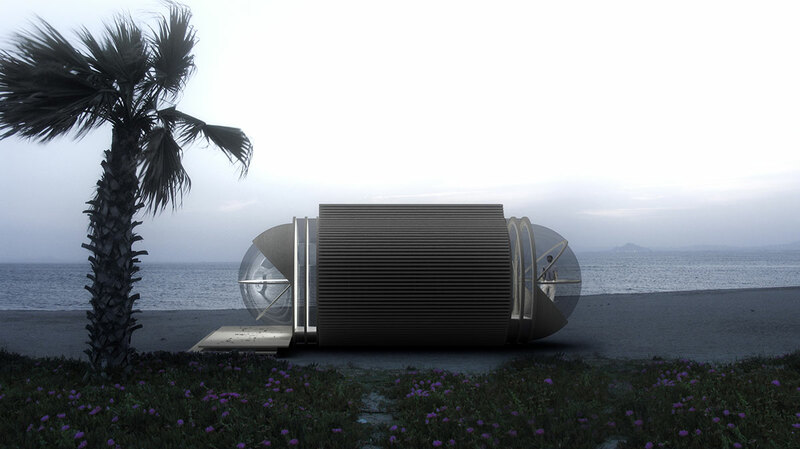 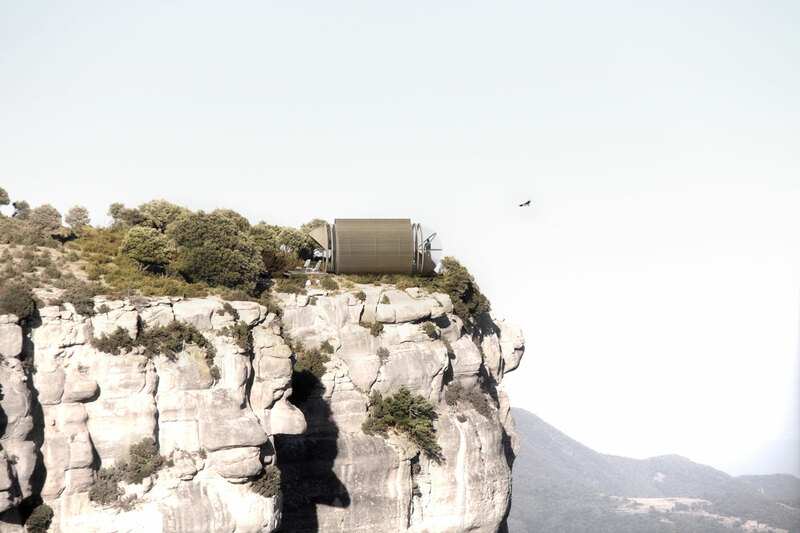 The pod hotel’s base is elevated above the earth to minimize its impact upon its site. 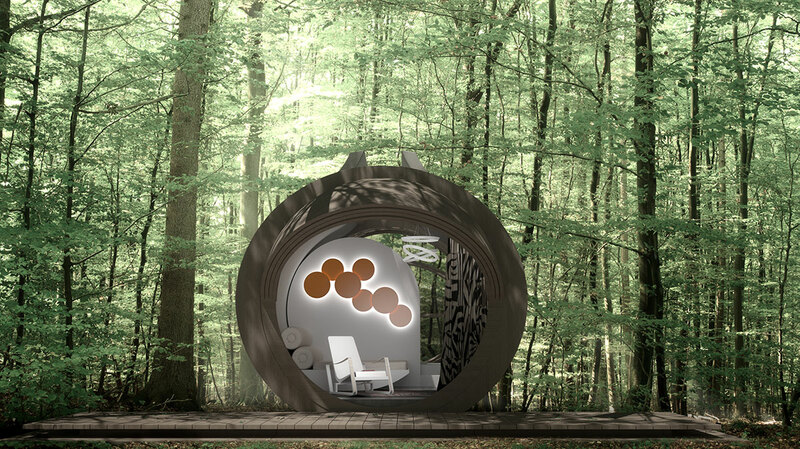 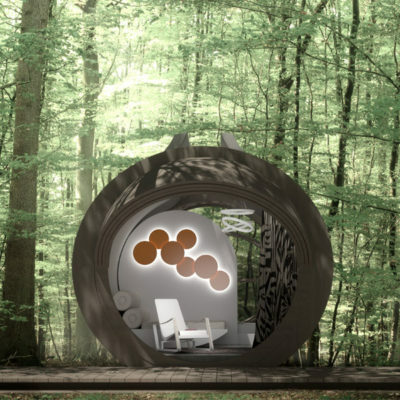 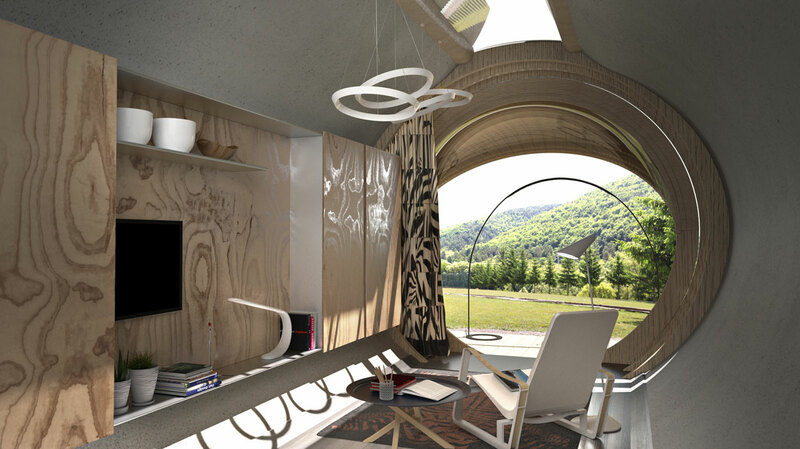 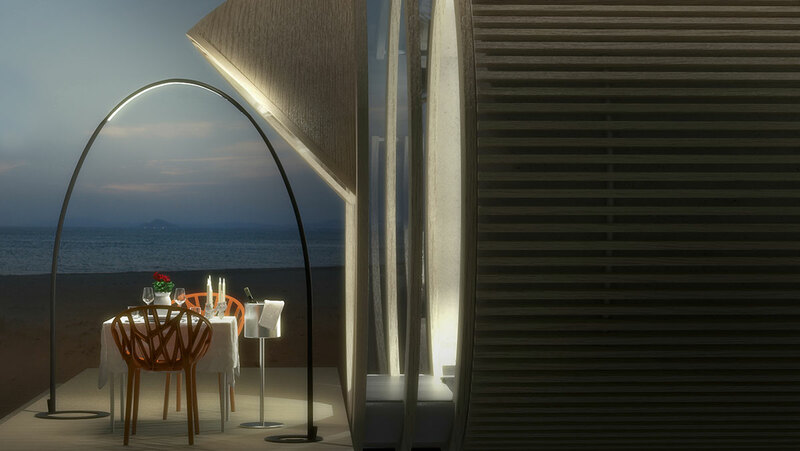 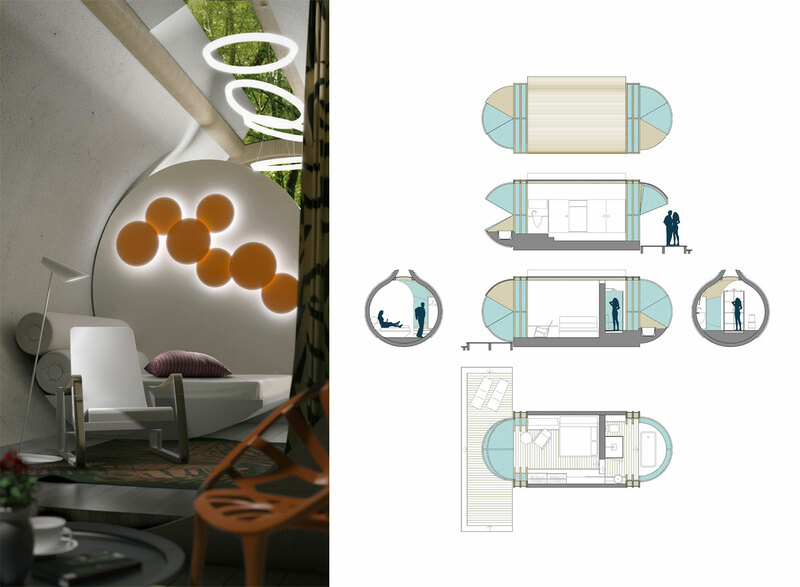 Its spherical bubble windows that can be completely opened and a skylight running the entire length of the pod, bring guests into direct contact with nature and provide ample daylighting.